This is something I've been puzzling over ever since buying SOWWL. Siborne tells us that much of the battlefield of Waterloo was planted with rye, and contemporary evidence both from Waterloo and Quatre Bras confirms that the rye growing on these battlefields was intended not only for consumption but also thatching and so was tall enough that to completely conceal infantry and only show cavalry by the height of their riders and pennons. 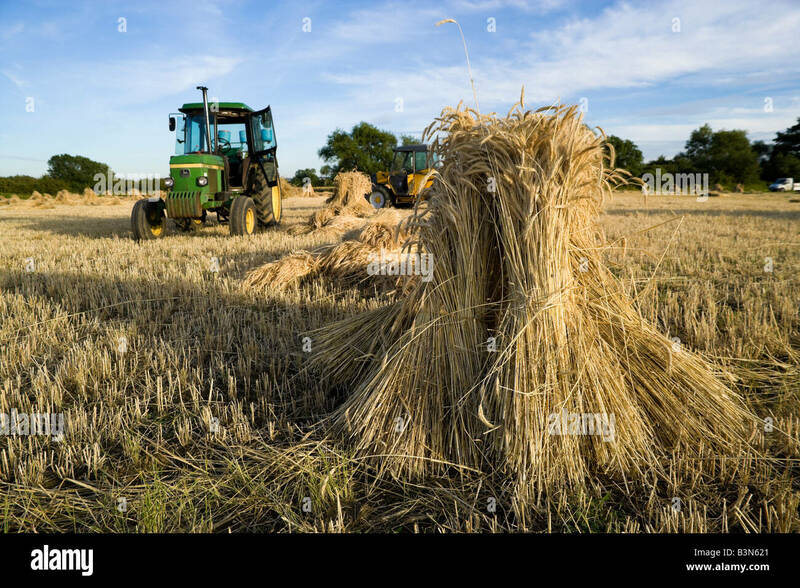 The picture above gives a better idea of what the rye on the battlefields probably looked like in terms of its height, as this is a special variety grown specifically for modern day thatching supplies. I'm no farmer but that is what I'd call wheat. Maybe rye is a species of wheat? 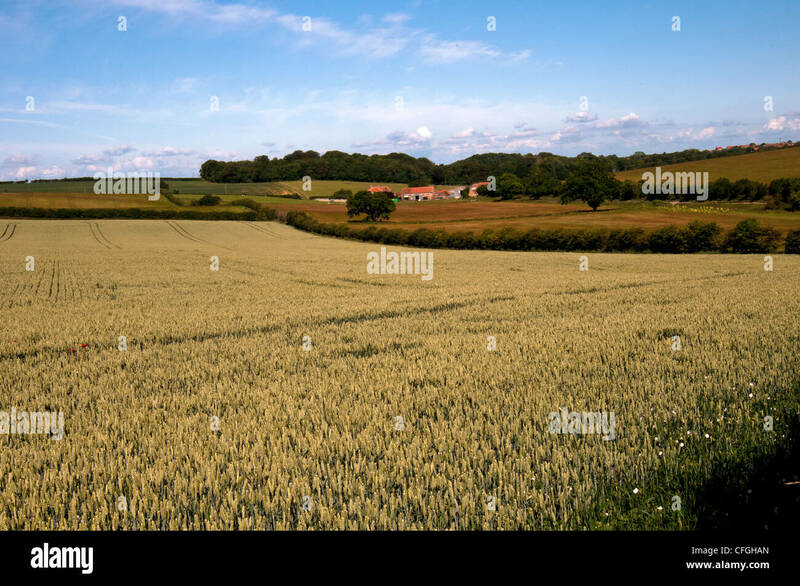 Those photographs are specifically of rye fields, that's what rye looks like. Wheat is similar in appearance, as is barley. What rye definitely doesn't look like is how it is depicted in SWOWL, which is something like American Corn, from the film Field of Dreams. American Corn (Corn on the cob to us Europeans) looks completely different and seems to be the graphic that has been used to represent rye in SOWWL. We should advertise the Kriegsspiel hobby like they do careers in the military – ie. get involved in Kriegsspiel and learn everything under the sun – history, geography, ballistics, languages, computing, cartography, horse husbandry, architecture and now agriculture! (not to mention my literary research during the Peninsula campaign). Not to mention psychology, leadership, resource management, planning, historical research and analysis. It does annoy me though that the default maps in SOWWL are so poorly drawn when compared to those for SOWGB. I wonder if they even bothered looking at Siborne's research at all. The Waterloo rye sprite isn't maize. It appears to be simply tall wild grasses. Whatever it is its a very useful sprite as it looks good in dense field coverings and also works at field boundary or roadsides as weeds. 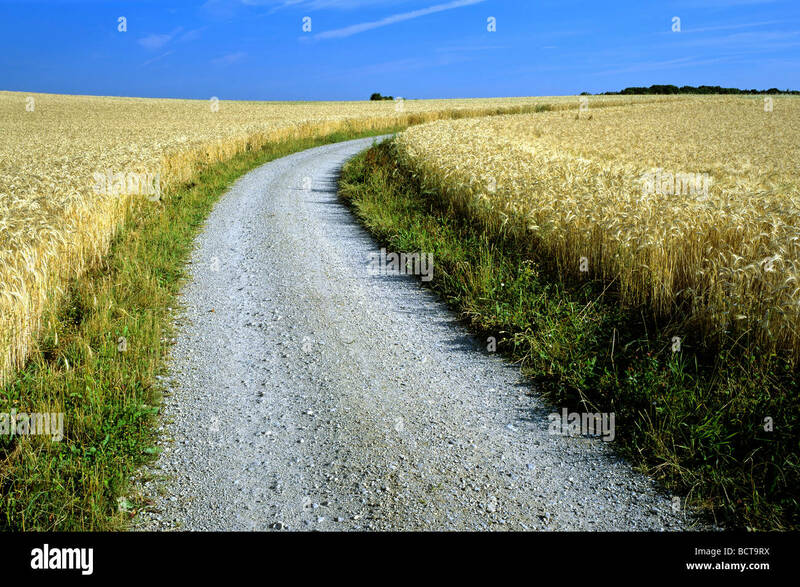 Except that it looks wrong, and certainly nothing like ripe rye fields. I've been watching some of the SOWGB Multiplayer video's and they seem to have a much more accurate representation of wheat fields which actually show infantry wading through the crop up to their waist. What SOWWL needs is a version of this graphic but with taller stems so that infantry are wading through it up to their heads. These fields were a key feature of both Waterloo and Quatre Bras and indirectly led to Halkett's brigade being caught in column of divisions by French cavalry whilst hurrying forward to support Pack's Brigade. The cavalrymen being able to see them clearly by their colours and weapons, but they couldn't see the cavalry through the tall crops. Though quite why their mounted officers never gave the alarm is not explained except by Halkett who says he had galloped off to check the ground ahead, but apparently never spotted the cavalry. (sounds like a cover up to me) And of course the blame was eventually passed to the Prince of Orange, and even the primary evidence has been doctored by some historians to support that claim. But the crops were certainly a factor in preventing the less senior officers reacting to the threat. It sounds like you've found an easy modding project. Enjoy. Uncle Billy wrote: It sounds like you've found an easy modding project. Enjoy. I must admit it is tempting to try and replace the maps for Waterloo and Quatre Bras with ones that are based upon Siborne's survey's. just not sure my technical skills are up to it given the problems Digby seems to be having. There's a good selection of tall wheat sprites around. I will experiment with them on the German/Chickamauga map. EDIT: David, I sent you a PM about why I split this topic off from the German-Chickamauga map mod thread. Here's a link to a full set of terrain sprites in dds file format. Lots to choose from. If you are interested in joining our map modding team, drop me a note and we can discuss. Sounds good, and that image is certainly a more accurate representation of ripened Rye in June. Their goal was to meet a calendar deadline, not put out a quality game. Hi Mike, good to see you drop in. 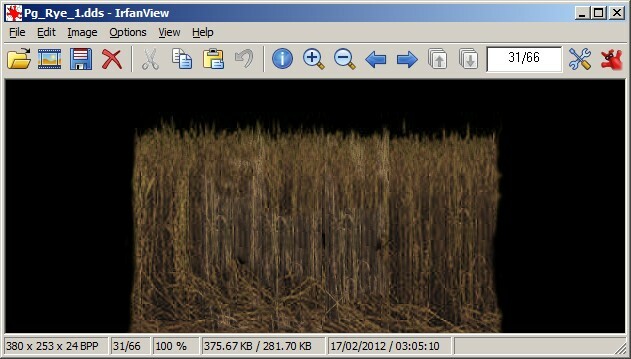 Now that Phil and I are modding the maps fixing the crops on any map is a 10 minute job - literally. 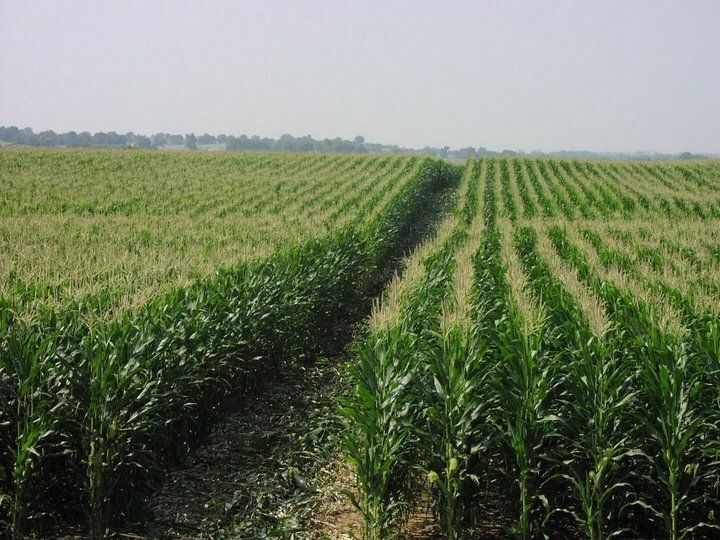 If you can tell me which fields were which crops its an easy fix. Right now our MP group does not use QB because its actually a fairly dull map and some of us are waiting for The Price is Right! I have it though and can do some fixes on it. To be honest I thought the portraits issue was a farce. You did all that work and they don't even show in the toolbar but in some hidden extra menu that hardly anyone ever looks in. The whole point was to have the portrait show when you selected the unit but My GUI... grrrr. 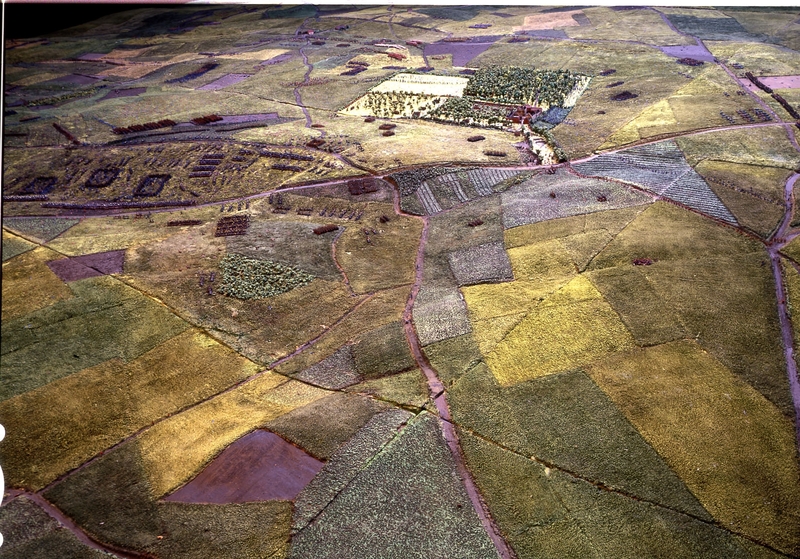 William Siborne did a complete survey of the battlefields in 1816, which included a full record of which crops were growing where at the time of the battles. He needed this information in order to make sure his model was 100% accurate. So, the simple answer would be to get hold of a copy of his notes and maps, or to just take some photographs of the final model at the British Army Museum. I know that as Mike says the battlefield of Quatre Bras was large planted with rye fields, most of them ready to harvest and above head height. Large area's of the Waterloo battlefield were also laid down to rye/cereal crops, though letters from Sibornes collections suggest that some of these fields had been cut prior to the battle. In particular, the field to the immediate west of Hougoumont is mentioned by one writer as having been cut and stacked and that both French and Allied skirmishers were using the sheaves dotted over it as cover and that some had caught fire due to the close proximity of firing muskets. 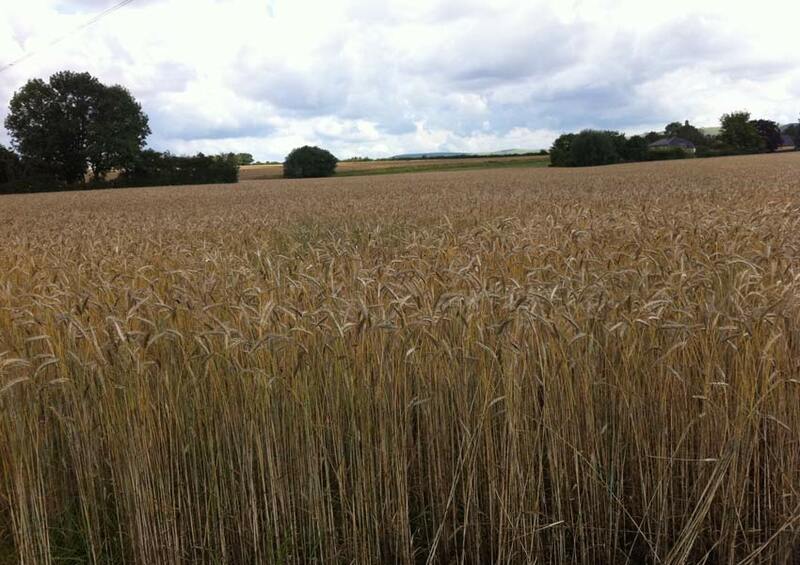 Likewise I seem to remember that the field to the west of La Haie Sainte where the Luneberg Battalion was attacked by Crabbe's Cuirassiers had been harvested and the rye stacked ready for drying. It's possible that this had been a panicked attempt to bring in some of the harvest before the rain came on the 16th June 1815, after that and disruption caused by the movements of troops and battles I doubt much harvesting was attempted. So, it sounds as though the Hougoumont estate had at least begun its harvesting, but that it was not complete, as other letters mention the same head high rye that was noted at Quatre Bras . The danger of course with the model is that over the years it will almost certainly have been damaged and restored on several occasions so how accurate it is today is debateable. Sibornes notes would be a more reliable source. Another interesting feature missing from the battle map is the shambles that both Vivian and Vandeleur mention on the Allied left flank close to Papelotte. This area was according to them much broken up with small fields and ramshackled outbuildings such they had had great difficulty negotiating it with their cavalry brigades when trying to move in support of the Union Brigade. Both of course blamed the other for not negotiating the area faster, and I often wonder why after the farce their arguing caused at Genappe, Uxbridge hadn't separated them, as they were clearly more interested in their own conflict than the conduct of the battle. rye. Although these were not quite ready for harvesting, they were ripening and had grown tall. detailed research on the crops as they would have been on the battlefield in 1815.
as to the correctness of such information, and if so, in what particular ? Very interesting Ditz. Maybe we can look at it some time. If we ever do some Historic Waterloo/ QB scenarios for the KS mod, it would be good to get it right. High crops in HITS games can really add to to fog of war. I really would like to join map modding team at some point, thanks for the offer. Your work is looking great. My enthusiasm has been a bit low recently and I have had Tennis Elbow for over 3 months now, although that is improving. Long hours on the mouse does aggravate it, though. Gonna see if Martin's 'Pony Wars' mod needs any further work on the portraits, first. Thanks again everyone for the game last week. One battery of 12 pounders firing canister will cut the grass down anyway. That would actually be quite cool, but I don't think the game engine has the ability to do that. Although interestingly there is a sprite in the GFX folder for 'crushed rye', but I doubt it is used as a substitute graphic for any area of rye that has been fired upon or trampled through.